We book lovers are always looking ahead, aren't we? Whether I'm waiting on my Wednesdays or obsessively adding books to my TBR (even when they are nothing more than a tiny sort-of blurb), I can't seem to help but look toward the future. It was really hard making this list because most of the books I am most desperately waiting for don't even have covers yet. Whew, is it dusty in here? Ahem, where was I? Oh, yeah, I'm way too much of a visual person to post about a book without a cover. Yep. So here are five books I can't wait to read that DO have covers. This is a retelling of The Frog Prince, and you know how I feel about fairy tale retellings! SO CAN'T WAIT! I doesn't look like it's exactly hate-turned-love, but there do seem to be some obstacles to their romance (and not in the "Oh, I'm too dangerous for you!" sense either). The "twisted secrets" in both of their pasts sound extra intriguing. But really, what it all boils down to is: Fairy tale retelling = Give me that book! It's as simple as that. A headmistress with secrets? Yes! Mysteriously disappearing students and faculty? Yes! I am a sucker for books like this. I'm not really sure if Dark Companion is paranormal, Gothic, or contemporary, but as long as it has those features, I will read it. I'm actually a little scared to read Glamorous Illusions. I am so insanely in love with Lisa's River of Time series, and I can't imagine much living up to that level of awesome. But even if Glamorous Illusions is only half as good as River of Time, that's still pretty darn good. It already has a prettier cover, so points for that! Besides, it has an historical setting, secrets, family, a journey, and romance--all things Lisa is a pro at writing. The blurb had me at "In a desert land where serpents made of unbreakable glass fly through the sky and wolves made of only sand hunt within storms..."
How cool does THAT sound?! I'm already hooked on the imagery. And, speaking of imagery, that cover is amazing. Plus, it's high fantasy and I'm sensing the world building will be awesome! I haven't read a book by Sarah Beth Durst yet (despite having several on my TBR), but everything I've heard has been fantastic. *sigh* I love it when a guy pursues a girl. Now, ok, Gene is pursuing this girl because he's trying to hunt her down and feed her to his comrades (who don't realize he's a human too), but, whatever, that still works for me. Because, you know, HE isn't going to chow down on people. Probably. And if that cover is any indication, I'm sensing Gene and this girl will start a rebellion against the human-eating overlords. 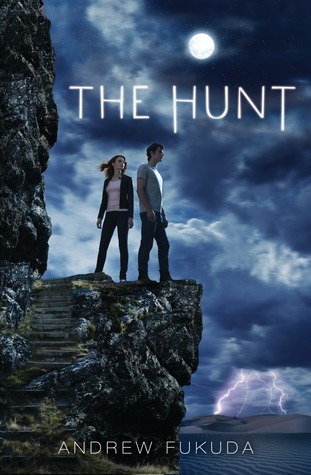 The whole cover and blurb scream fast-paced book with fighting, running, and romance. Yes, sign me up for that! How about you? What books are you impatiently waiting to read in 2012? Fabulous list! Enchanted and Glamorous Illusions look especially good. What incredible covers. I love Vessel's cover too. I so can't wait to read Queen of Glass. I remember reading the entire trilogy's first draft on Fictionpress a long, long, loooong time ago. 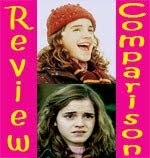 It was rough and had way too many subplots and some other minor flaws but it was WONDERFUL. I spent HOURS reading it. Ugh! I can't wait to read the newly revised version. I'm practically foaming at the mouth! Look what you did now....i'm trying to stay away from 2012 books since i'm trying to finish my TBR and you made me want check new books. I definitely want all of these! 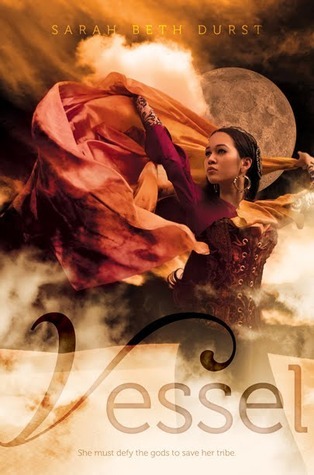 2012 has so many amazing books coming out, I can't wait:) And how gorgeous is the cover for Vessel? LOVE IT! My TBR will be higher than Mount Everest at the rate I'm going with books to read/die for in 2012. Going to an awesome reading year. Can't wait! I like the sound of Enchanted and Glamorous Illusions looks nice too! *hugs* thanks for sharing your list! 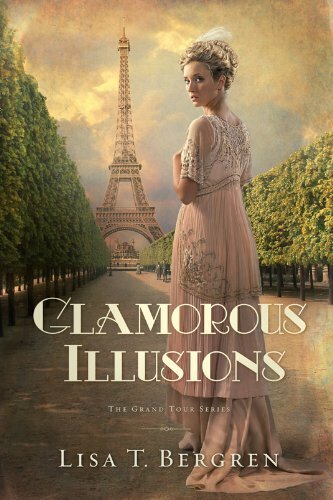 Glamorous Illusions is one I've been waiting for as well. I saw Vessel and The Hunt this week and I think they sound freakishly awesome as well. Vessel sounds like something a little different which is why I'm excited for that one. As for The Hunt, the whole premise just grabs me! I was going to let you know about Enchanted. I knew you'd love it as it's a fairy tale retelling! I'll definitely have to read the Lisa T. Bergren just because! And Hunted well for all the reasons you said. BTW, that dress on Glamorous Illusions is to die for! Oh and I saw Vessel and couldn't decide. I'll let you read it and see if it's as good as it sounds. Definitely high fantasy! Those are some GORGEOUS covers! It seems like they just get better year to year! This is a great list. Most of these are books I haven't even heard of yet! I'll have to add them to my 2012 Wishlist! 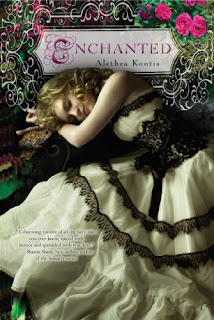 Enchanted has been on my list for a while and The Hunt looks like it could be really good. I can't wait to check out Halflings by Heather Burch, Something Strange and Deadly by Susan Dennard, Scarlet by A.C. Gaughen, Croak by Gina Damico and Lies Beneath by Anne Greenwood Brown, among many others. I totally agree with you on these, but, WAIT, Lisa T. is doing another historical???? Holy sh**! I'm so excited!! Funny, I've seen Dark Companion around but haven't added it to my TBR nor read the summary. Weird. I have a lot of highly anticipated books for next year including Hallowed by Cynthia Hand, Incarnate by Jodi Meadows, Everneath by Brodi Ashton, Stolen Away by Alyxandra Harvey, The Book of Wonders, The Alchemy of Forever, and so much more! Never heard of Glamorous Illusions. Loooooove the cover and the plot. I'm adding it to my list. Am I the only person who hasn't read the River of Time series? Im adding The Hunt to my list, too. Great selection! Alison, Aren't the covers great? 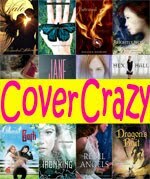 YA covers have come such a long way from the days when I was YA. Krystle, I can't wait too! I missed it on fictionpress, but I've heard all about it and the wait has been torturous! I love her blog and her "voice" there. There are also going to be novellas leading up to the release of QoG and I can't wait for those too! Natalie, It's SO gorgeous! Like a work of art in its own right. Steph, I agree! It was hard narrowing down the list for this post. Jenny, 2012 is going to be a fantastic year for new books! Heather, Aw, thank you for thinking of me! I am in love with the cover and dress of Glamorous Illusions! I will totally let you know about Vessel. Donna, Covers really do seem to get better and better. It's amazing. I hope you enjoy the books! Kristin, I can't wait for Something Strange and Deadly too! 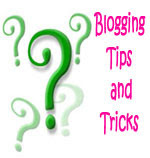 Every time I read Susan's blog I get a little more impatient :P There are SO many good books coming out! Asher, Yup, she's doing another historical! I think this one is a little older, and a little more Christian fic, but I'm still interested. Re:Dark Companion, it takes me a while to add some books to my TBR too. It's like they have to marinate in my head a little before I commit. :P Hallowed! I can't wait for that one and THe Book of Wonders! 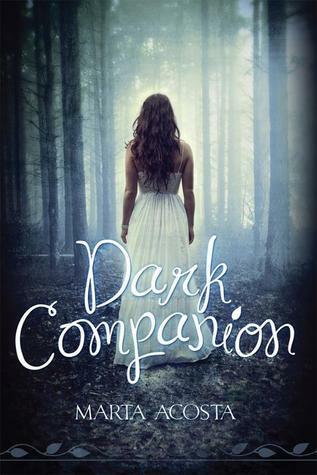 Thanks for mentioning Dark Companion on this terrific list! I hadn't heard of Vessel or Glamorous Illusions. Gorgeous covers and I'm adding both of them to my TBR along with The Hunt, which sounds really intriguing and different. I love the cover of Enchanted -- same dress as on the cover of Dreaming Awake by Gwen Hayes. I know!! I love that title so much more. Did I mention that I'm still so bummed it moved from Summer to Winter? Still better than 2013, though...!